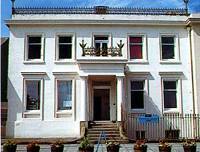 Discover this fascinating Museum, close to the quayside and overlooking Morecambe Bay. Fleetwood Museum brings to life the history of Fleetwood and the Lancashire Coast. Full of character and variety, this outstanding Museum provides an exciting voyage for all ages, to a destination that has been popular since Victorian times. The Museum occupies the old Custom House, built in 1838 and designed by the famous architect Decimus Burton. The Museum traces Fleetwood from past to present - the cargo trade, the fishing industry, passenger services and as a holiday destination. The story begins with Sir Peter Hesketh-Fleetwood and his great vision which resulted in the creation of the town of Fleetwood - one of Lancashire's early 'new towns'. Fleetwood trawlers fished the North Atlantic Seas from Newfoundland to Russia. Find out more about the fisherman's life and the harsh conditions endured to bring back prize catches. Marvel at the highly detailed scale models of how the dock and fishing fleet used to look in the 1930's during the heyday of the fishing industry. Compare this with the present view from the window and see how your world has changed. Examine trawler nets, bobbins and other fishing gear. Rockall? Dogger Bank? Have you ever heard the shipping forecast and wondered if these unusual names really exist. Be inquisitive and find out what lies beyond the beaches of Britain. Skipper our fishing boat and take our trawler bridge to the limits of your imagination. Cross the boardwalk over rippled sands to find out where cockles, mussels, shrimps and prawns were harvested in the shallow water of Morecambe Bay and along the Fylde Coast. Look out for our natural history displays about the coasts wildlife. A roof-top camera allows you to view Morecambe Bay - one of the richest wildlife areas in Britain. The ICI gallery. Enter the saltmine and interactive gallery which uses the latest technology to bring to life the history of the local salt industry. See how this mineral is used today in the chemical industry to produce every day household objects. Test your knowledge with our touch screen computer quiz. Lifeboats. More displays explain the interesting story of the local lifeboats and the courageous exploits of local trawlers during wartime in the Royal Navy Patrol Service. Enjoy a relaxing coffee in our friendly Galley cafe and try one of our delicious locally baked cakes. Events and activities. There is always something new 'on board' at the Museum throughout the season, whether it be the popular Maritime Heritage Weekend 'Fish and Ships', children's activities or the varied adult lecture programme. Please ring for details. Shop. Our shop offers a wide variety of gifts, cards, books and souvenirs including an attractive selection of nautical goods. We are keen to welcome all visitors but we are aware that owing to the historical layout of the building access to some areas is difficult. We suggest therefore that people with mobility difficulties contact our Museum Staff prior to visiting for further assistance and information. An induction loop is available to assist hearing aid users. Assistance dogs are welcome at the Museum. We welcome school parties and groups and provide excellent sessions (tailored to the National Curriculum and to each groups needs) to inspire learning amongst all ages. We are on Queen's Terrace opposite the Stena Line ro-ro ferry birth between Fleetwood Market and the Knott End ferry. Follow the brown signs on the A585 into Fleetwood. There is a car park behind the Museum on Custom House Lane and free parking is permitted along many streets. Regular bus and tram stops are close by.